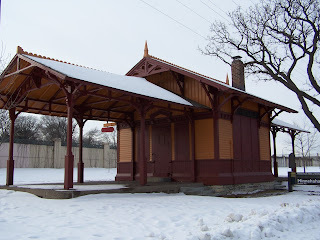 Located in Minnehaha Park, this Gothic style train depot was built in 1875, replacing a smaller station. The railway line was the first one ever into the Twin Cities from Chicago, and many residents used the train to visit the park in the summer, which includes the spectacular Minnehaha Falls. 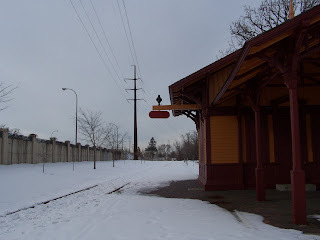 The depot is owned by the Minnesota Historical Society and was the first building to be restored by the museum. Now I will just have to go back in summer and take some more seasonal photos of the depot.